Have you ever wished there was a payroll checklist that had everything you needed to get going with a QuickBooks outsourced payroll solution? Well here is it! I get a lot of questions regarding the onboarding process for clients and customers when they make the decision to switch to a QuickBooks outsourced payroll solution. 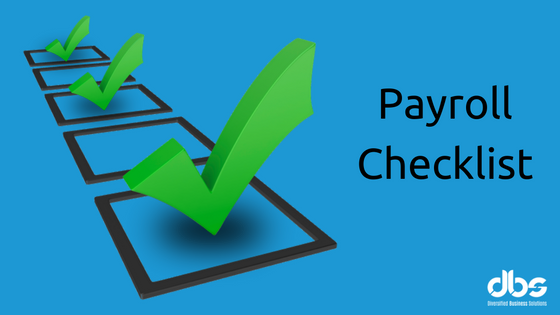 So, I created this payroll checklist to share with you. 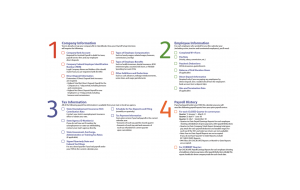 It covers all the information that you, or your clients, will need to get started. Gather the following items before you start setting up payroll. You’ll need this information to quickly and accurately set up your account and avoid problems later when you start using QuickBooks Payroll. The following payroll tax information is available from your state or local tax agency. Please let me know if you have questions or need help in the process of onboarding your next payroll client.